New US cultural initiatives tied to video contest. Above: Cristoph Niemann. Spotted via Design Observer, a free download via ReadyMade, from the article, Poster Children, highlighting a series of five prints by five designers echoing the vernacular of the 30′s and 40′s. 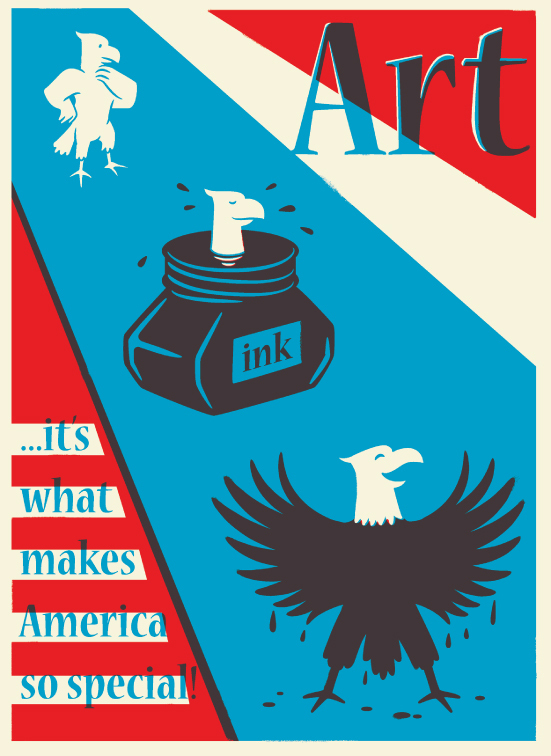 Apropos posters and culture, the US Department of State have announced a new initiative, My Culture + Your Culture = ? Share Your Story. 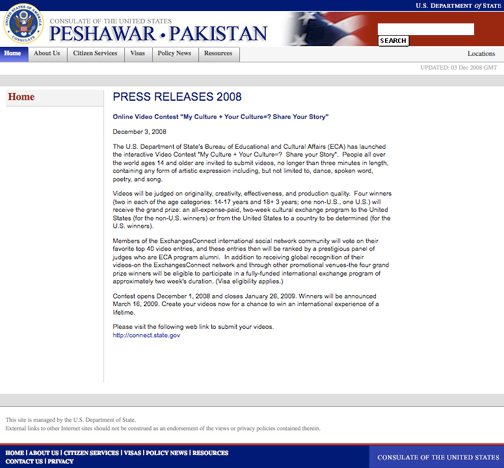 here is a screenshot from the consulate in Peshawar. This entry was posted by Erik Brandt on Thursday, December 4th, 2008 at 11:28 AM	and is filed under Aktuell, Art, Color, Comic Art, Globalization, Graphic Design, International, News Links, Typografika, Typography.